It’s wonderful to see Will Long, for so long associated with Celer, exploring an entirely new direction in Oh, Yoko, his group project with partner Rie Mitsutake (aka Miko, known for her full-length albums on Plop and Someone Good), with whom he manages the Normal Cookie and Bun Tapes labels. The fourteen songs on their debut Oh, Yoko album offer a striking blend of lo-fi vocal pop and electronic experimentalism, with all of it created from found sounds, toys, field recordings, and vintage electronic and acoustic instruments and recorded at their Tokyo home base. Sunny in spirit, the recording is marked by a playful and explorative sensibility, and seemingly documents Long and Mitsutake working through the process of pinning down the Oh, Yoko identity. Though the duo issued the Seashore EP earlier this year, it featured a single original only, making I Love You… the first in-depth presentation of the group’s sound. Things start promisingly with “Heaven’s Gate,” a shimmering synthetic soundworld against which murmured vocals, acoustic guitar, and melodica intone, and gentle ballad-styled pieces and serene, entrancing settings for organ, synthesizers, and vocals (“Toumei,” “Daylight Lunch”) follow in quick succession. Lyrically, the songs are sincere and straightforward declarations about love, nature, and simple pleasures that Mitsutake typically sings softly in her native tongue though sometimes in English, too. Instrumentally, the music is often soothing in style and design, though an unexpected element occasionally surfaces, whether it be the ‘80s-styled drum machine rhythm coursing through “Grand Prix,” the relentless synth stab in “Keio Line,” or the warbly synthesizer fluttering through “I Did This, I Did That.” While most songs include singing, some are largely instrumental soundpaintings, such as “Song with Coyotes,” which accompanies field recordings (of nature sounds and, yes, coyote yelps) with melodica wheeze, kalimba plucks, and Mitsutake’s wordless musings. While an experimental radiophonic vignette like “Take-off” is interesting, the fifty-eight-minute album’s most affecting moments arise during traditionally designed songs such as “Boîte de nuit,” whose hazy lilt exudes a seductive aura reminiscent of Mazzy Starr, and “Radio Days,” whose soft, nostalgic glow evokes the feel of a ‘60s radio ballad. That I Love You… is marked by an occasional non sequitur isn’t a crippling weakness; if anything, the abrupt shifts in mood and style from one song to the next keeps the listener on his/her toes waiting in anticipation for what comes next. Having said that, it is jarring to encounter “Newsbreak,” containing Paul McCartney’s infamous first public reaction to John Lennon’s death (“‘Drag, isn’t it?”), appearing amidst Oh, Yoko’s other songs, though, once again, the effect, though odd, isn’t unpleasant. If anything, the randomness is consistent with the duo’s desire to distill the everyday moments of home and city life into aural form, which they do repeatedly on this consistently endearing recording. L’ennesima pubblicazione della sconfinata discografia di Celer può rappresentare l’esempio perfetto per smentire i luoghi comuni tanto sull’immediatezza creativa di opere sperimentali quanto sulla magniloquenza espressiva sottostante alle frequenti lunghe sinfonie ambientali di Will Thomas Long. “Radish” consta infatti di ben diciannove brevi tracce prive di titolo, contrassegnate soltanto dal loro numero progressivo ed elaborate nel corso degli ultimi due anni a partire da frammenti strumentali, field recordings, suoni e rumori dalle matrici più disparate. L’incessante successione delle tracce, sostanzialmente antitetica al loro essenziale contenuto, offre una sensazione di continua mutazione delle istantanee in movimento di Long, che disegnano una sequenza mutevole tale da restituire nell’ascolto lo stream of consciousness nel quale è stata compilata. Come la concisione di respiri che si avvicendano spontaneamente l’uno dopo l’altro, i diciannove brani mostrano una tecnica di impressionistiche suggestioni sonore, talora prodotte da frequenze e rumori appena al di sopra del livello della percezione e quasi solo nei passaggi relativamente più articolati (due sole tracce superano i cinque minuti di durata) sviluppate in minute partiture di placido ipnotismo ambientale. Pur rinunciando a lavorare sulla persistenza, Long non ha depotenziato il contenuto immaginifico delle sue creazioni, quanto piuttosto ha inteso cristallizzare il fascino degli elementi più volativi di un descrittivismo emozionale costituito da un pulviscolo di brevi schegge sonore, la cui valenza in questa forma viene anzi esaltata. In March of 2012, nearing the end of a tour together through the Netherlands and Belgium, Celer, Machinefabriek, and Jan and Romke Kleefstra gathered in a country studio, spending an afternoon improvising to record Gau. Recorded by the old hardcorerocker Jan Switters at the Landscape studios in Gauw, situated in the countryside in the midst of Friesland, the place was surrounded by green fields with idle tractors, few trees, buzzards and only massive farmhouses dotting the horizon. 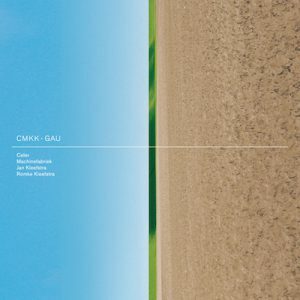 From the almost four hours of original studio recordings, later mixed down in Rotterdam by Machinefabriek, this somewhat more then 40 minutes, titled Gau, represents the highlights of an afternoon, with coffee and orangecake, in the isolated Frisian countryside. Gau is a Frisian word that means in a hurry or fast, but is also the Frisian notation of the village name where the studio is located. Climbing Formation is a four-track album by Tokyo-based Ambient luminary Celer aka Will Long, comprising of eleven concatenations – or rather formations – realized via an organ, a synthesizer and various tape loops and movements. Released on the Parisian Entropy Records in mid-September of 2013, the CD comes in an edition of 500 deluxe matte-colored digipaks and with a limited postcard. It can be ordered directly from Entropy Records and is fully streamable at Will Long’s Bandcamp site. As with all of Celer’s releases, the artist creates a textual backdrop which could be coined as a cheeky faux-clarity; it seems to explain everything one ought to know about the respective work, but is abstract enough to not be served on a silver platter. Climbing Formation is no different in this regard and is potentially easy to understand due to the explanatory notes and the front artwork. Not entirely coincidentally, the unison of front artwork, album title and accompanying text offers the first designed dissonance. Climbing Formation is usually connected to rock climbing and the ascent of said formation, but the front artwork does not show illustrate the flimsiest barrow. 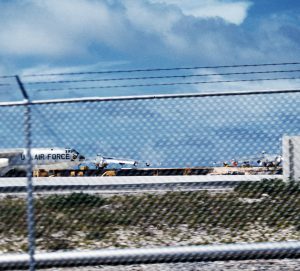 It is a US Air Force jet that is shown, probably photographed in motion. The liner notes absorb – and rigidify – the leitmotif of aeronautics: two different travelogs are contrasted, the first written by one William A. Long, Jr. in Fairbanks, November 1960 while being on a plane in order to “oversee a polar station in the middle of nowhere.” Whether this is a relative of Will Long or a namesake is not revealed (yellow press anyone?). The second travelog is written by Celer himself during a flight to Tokyo as he lets his mind drift: “I keep watching out the window, continually sucked into the sunset, and the distant mountains of clouds hanging over the ocean.” Mountains and airplanes are thus the main theme of the album, but the reviewer’s prerogative of interpretation is still in danger as the unfolding arrangements show. The specific qualities and textural components are further carved out below. For now, it should be enough to know that Climbing Formation is a potentially joyous glorification of natural surroundings which steer our thoughts like coxswains from afar. But how does this explain the scattered arcana and paroxysmal mysteries? The first track encapsulates three vignettes and runs for over 22 minutes, enough time for Will Long to fathom out the positively etiolated plateaus in vertiginous heights. The opening segment Motions That Vary Due To Height showcases two particular characteristic traits of Celer’s music which are reoccurring frequently as of late. The first attribute is an almost peculiarly prolonged fade-in phase. The Tokyoite has all the time in the world and lets the listener notice exactly that. The second remarkable feature is based on the overall volume level. Quiet and decidedly thinned retro runlets become ameliorated with unexpectedly weighty bass drones and cautiously seraphic synth washes which remain closely attached to the warm analogue sound of the faintly piercing alloy. In what could be the second section called The Overhead Emptiness, the formerly whispering synth spheroids now seem augmented and much louder, emitting a braiding of aerose cloudlets, with the beguiling abyssal bass still intact, now fluttering in a rotor-resembling way. Despite the constant heterodyning and purposeful setbacks architecture-wise, this polyhedric part is undoubtedly moving forward and yet depicts the glorification of the occasional doldrums. More nostalgic rather than melancholic, the blue-tinted timbre of the vitreous clarity figuratively alleviates and softens every mental leap. The simultaneity of the sylphlike bass flumes and the crystalline translucency of the synths make the whole track a New Age-oid but less histrionic piece of utter contemplation. But where does the last part named Being Closer To The Sun truly start? It could embody the emaciated fade-out phase sans bass. But ever since my review of Celer’s Viewpoint (Murmur Records, 2013) which suggests 26 different movements during one track of 78+ minutes despite the constant reintroduction of former elements and tone sequences, I hope to know better; the whole track shall be seen and interpreted as one outcome, with the track titles being either Will Long’s own or the listening subject’s temporary, highly fugacious thoughts which are slightly driven by the fluxion instead of explaining the music itself. The second track does not impose such issues on the listener, as it is the only piece that stands on its own feet. Or so it seems. Called Fires That Light Up The Night, it naturally integrates well with the endemic atmosphere, but also revs up the feelings of tension and nervousness which were heretofore only flimsily implied and cautiously hinted at. Now the flurry is all the more astonishing; frosty static noise-infused bell layers are scything back and forth, mimicking the movement of billows. The nocturnal hint of the title really does come into play, for these iridescent but glacial glitters are not as fervid as the titular fires might suggest. The interstitial structure of the track is noteworthy: darkness is indeed all around the listener or the plane, there are no melodic patterns, not even synth tendrils. Bass undulations with those glistening whitecaps are all there ever is. On higher volume levels, the crepuscular twilight is partially illumined by virtually invisible synth gases which diffuse and gyrate around the bass-heavy formations. Fir-green in their tonality, ultraviolet for the eye, they interpolate the arcanum and function as the enigmatic friction. It is a curious remark to suggest turning up the volume when Will Long decides to present fragile movements, but only then is one able to imbibe the hidden undertones and push the otherwise desiccate embellishments into the limelight. The sheer force of the bass might be overwhelming even in neutral amplifier configurations, but the dun-colored molecules behind the liquedous veils offer enlightenment in an arrangement which seems to favor atrophy and putrefaction. The third climbing formation runs for 19+ minutes and is pieced together by three vignettes. It also sports the most beatific title, for the opening section is named Strong, Exhilarating Effects. If someone told me this was an outtake of Tetsu Inoue’s final bequest Inland (2007), I would have believed it without a shadow of a doubt. Celer’s Ambient piece is again coated in tension, but this time it is pleasant anticipation… presented in technicolor. Elasticized and fluttering synth prongs, Japanese tonalities, the mercilessly hammering staccato of the thankfully enormously softened bassline as well as the spheroidal susurration of the mauve-tinted globs of light altogether create a saturated complexion of thermal fogginess. The synchronism of the layers fortifies the impetus, everything feels erudite, seducing, purified and aquiver with pleasure. Yearly Delta follows after approximately ten minutes – at least that is how I perceive it – and neglects the overabundance of the opening segment in favor of a more whitewashed, distantly stolid approach, but with a similar allure. The synth movements swirl in the distance, but influxes and vestibules allow them to ooze into the foreground. The disposition is inexplicit: the movement borrows the surfaces and patterns from Strong, Exhilarating Effects, but decreases the contrast and lets grayness into the bubbling bass-infested superimposition. There is a third track hidden in here, Autopilot, but it is hard to precisely name its infancy stage, as it seems to be nonexistent. It conflates with the mood range and could have been there all along. That is the boon of an autopilot: invisible and magical to the layman, but fit for service when the professional needs it. The finale rests upon a long-winded four-part apotheosis and rounds off the album with another mélange of potentially threnodic but rather turbulent constructions, turbulent of course only in the given set of intrinsic rules and textures. Weak Hillsides does actually feature a tumular physiognomy (Oldfield fans, read that again: tu-mu-lar). Similar to the wave movements in the second track Fires That Light Up The Night, it is as if Celer flew above the Chocolate Hills of Bohol. One can even sense the body of the airplane and the droning of its machines and engines. The ebb-and-flow fabric is intensified by various rumbling bass protrusions and the cosmically coruscating coils which are severely attached to the wave-like nature. Once the respective apex falls down, so does the synthetic moiré around it. Resignation Tendency is the second aural subheading, but again, do not ask me where it starts. It could end after about 16 minutes though, for I link the title of the third track Hot Tower to that specifically dazzling ardor which unfolds around this mark. The tone sequences of the former two tracks are resurrected, but camouflaged, blurred and diluted, now shimmering from afar, fulfilling the service as interim backdrops in close proximity to walls of low frequency warmth. It is either here on Hot Tower or the cross-fading and immeasurably resemblant last call Free Daydream where Will Long presents another one of his trademarks, and not a minute too late as the adage goes: piercing sine tones. They are neither aggressive-alkaline nor brazen-metallic, but much more present and self-confident. The quartet of tracks ends with a magnanimous fade-out phase and the calcined state of all emotions. The daydream may restart and build up these emotions anew. Why Will Long eventually neglected the plural of the titular formation is not known to me, but factually, Climbing Formation is pieced together by multitudinous circular clefts, promontory protuberances and tramontane tectonics which are watched from afar, with the airfoil or wing always in sight. This is still no kaleidoscopic piece rather than a funneled artifact where a certain set of textures is poured into the contours and outlines. The outer hull of the airplane is always physically apparent. Yes, I do indeed refer to the tactile sense, as the droning bass is often overwhelmingly present and upfront, resembling the droning engine sound that is so archetypical for passenger planes. It does not need the front artwork, let alone a genius to pinpoint the plane’s omnipresence as a quasi-fragile piece of shelter: track titles such as Autopilot and Motions That Vary Due To Height speak for themselves. Technically, they are not real track titles rather than poignant formations of Will Long’s observations and reasonings. While the aforementioned Viewpoint featured 26 movements in a gigantic track of 78+ minutes, the eleven vignettes in four tracks are comparably tame and transparently opalescent. Appearances are deceiving, Celer prefers his herring the red way, and it may well be that the sub-tracks are not at all attached to a certain intersection rather than a specific observation which is not necessarily transcoded in the piece via enlightening tone sequences or specific timbres. This would explain why there are often more sub-tracks than there are definable progressions. Overall, the applied surfaces show typical Celerisms such as the entanglement of strongly pristine-purified New Age vestiges in the shape of crystalline synths with their jagged semi-incisive organ spirals. Both aortas are then perfected by abyssal yet snugly bass pipes and waterways. This textural triptych maintains, fuels and kindles the whole album; no field recording or spoken word sample is presented, at least not in an audible, clear cut form. The whole album is magnificently pensive and stupendously efficient during work-related tasks at one’s desk, with its third track being eminently saturated and imbibing. One final advice, whether it reduces the driving factor of Climbing Formation or not: crank up the volume! You will be rewarded with belly-massaging bass drones and super-crystalline synth cascades without bringing the positively tranquil ambience to naught. Last week we had two releases by Will Long, as Celer and as Oh, Yoko, here he debuts with a tape as Rangefinder, and returning to the synthesizers of the 70s and the 80s, the Yamaha CS-60, Yamaha DX7 (which we see almost every week in these pages) and the Roland MC-500, if you nerds must really know. Other then working with computer which he normally does, Long’s interest here lies in the immediate composing on multi-track and keep it all more fresh. Like Sleeper it’s not easy to try and don’t think of the 80s and the many synth doodles that were released back then. This thirty minute tape has relatively short pieces, twelve to be precise, and that makes the pieces rather sketch like and short. All of these tunes are instrumental, and a bit spacious. These could easily be the start of a great new composition, a lengthy cosmic tune if you will, but it’s not the case. It’s just a nice pencil made sketch of electronic music. In the early 80s you’d find this on ICR, YHR, Neumusik or Third Mind, or one of the many compilations that were floating around in those days. The years of my coming to age with electronic music, so you can be sure I quite enjoyed this tape. Will Long and Rie Mitsutake create a slice-of-life synth folk sound collage on their own label, Normal Cookie. With Oh, Yoko the pair were interested in exploring the openness of creativity in captured moments of a simple home and city life. Towards this goal, Long and Mitsutake began by playing about on vintage instruments, mostly analog synths but some rickety strings and toys as well, and letting that control the direction the ‘songs’ (read:sound movements) would take. A lot of the sounds that would make it onto the record are used more as interesting textures, or noises, than simply for their melodic content. Because of this, I Love You feels more like a sonic diary, or a softly surreal soundscape to send you into snowy drifts of idyllic revelry. Both Long and Mitsutake both have solo projects: Will as the hyper-prolific dreamweaver Celer and Rie makes music as Miko. Celer makes longform, slowly shifting drones while Miko’s music is intricate and arranged, so it is interesting to watch the two different styles of music at work here. Sometimes it works, sometimes it doesn’t. Because of the “un-musical” (read: discordant or abrasive) usage of some sounds, like the sonar synth on the 2nd track, “Toumei”, it means that this record is most effective as an ambient/drone/noise record (for the people who typically listen to long droney music), but the languid daze is disrupted by outbursts of ‘song’, like the brittle-boom bap airy club pop of “Grand Prix” (which is probably the breakout single on the album, ironically). It’s not bad, it’s just a tad jarring, too sharp and abrupt, and could stand to have some additional mastering (even if it was done by Lawrence English). The songs are the strongest part of this record, and come more frequently in the second half, which means it’s worth giving this record some time and attention, to let it work its spell completely, before casting stones. “Boite de Nuite,” with its slurry Twin PeaksRoadhouse Blues jazziness, and “Ice Skating In The Dark,” with its icy synths and lush Rhodes pads, are particularly lovely and effective, and should definitely make their way onto your mixtapes for falling leaves and new love. Oh, Yoko’s I Love You is a loving document of folks who like to sit around and pet keyboards; who start tape labels and play in basements. They called it synth folk, and this is apt; it’s a different generation, who grew up miming Emeralds and Oneohtrix Point Never and Animal Collective instead of Led Zeppelin or The Cult. It’s a tad twee for my tastes, at times, but it’s young and it’s sweet and it’s innocent and emotional; its intentions are pure and often their experiments succeed. The one thing, which is common in dreamy droney soundscapes, is the abandonment of musical merit in favor of sound. Sure, it does make for a modern 12-tone listening experience, with some complex and convoluted emotions, but it could be done with more control and tact. I am still waiting for somebody to make the ultimate found sound drone collage industrial symphony. Oh Yoko’s ambient pop will slake the thirst of anime fans who’ve burned out their Pillows CDs, as well as those that walk around with headphones on, or stare out the window. There’s some colorful dreams contained in this package. Non poteva che trovare simbolica corrispondenza musicale la nuova pagina, per certi versi sorprendente, dell’esperienza personale e del percorso artistico di Will Thomas Long. Trasferitosi ormai da tempo in Giappone, ha proseguito con amorevole dedizione il percorso di sublimazione del ricordo di Celer, intraprendendo nel contempo nuovi progetti quali il recente Rangefinder, un negozio di dischi e un paio di etichette discografiche. Quello senz’altro più personale e significativo risponde al nome di Oh, Yoko, costituito insieme alla nuova moglie Rie Mitsutake (Miko), il cui debutto vede Long in una veste in buona misura inedita, a cominciare dal fatto che per la prima volta un’opera che lo vede protagonista presenta melodie vocali definite. Fin dal titolo, “I Love You…” appare come una dichiarazione d’amore che coniuga passione umana e artistica in confidenze dolcemente sussurrate, che il testo dell’iniziale “Heaven’s Gate” (“In the end of the universe/ Far away, far away…/ I love you/ I love you…”) porta in superficie attraverso carezzevoli iterazioni di note d’organo. Accantonate, almeno momentaneamente, la struggente malinconia delle sinfonie ambientali di Celer, nel corso del disco Long si cimenta con un universo di suoni e registri che comprende adesso tastiere vintage, frammenti acustici, strumenti giocattoli e un ampio campionario di materie sonore dalle provenienza più disparate. L’intricato puzzle generato dall’incessante sovrapposizione e avvicendamento di questi e altri elementi costituisce il terreno sul quale si muovono le interpretazioni di Miko, la cui grazia orientale non resta circoscritta a spoglie rifiniture di substrati sperimentali ma diventa credibile guida di melodie dream-pop carezzevoli e rarefatte (la deliziosa sequenza “Radio Days”-“ Ice Skating In The Dark”) e di un’imprevedibile saggio di danzante electro-pop sintetico (“Grand Prix”). L’amore fa miracoli e lenisce ogni ferita; i due coniugi ne celebrano le mille sfaccettature, le stesse rifuse con passione autentica lungo le quattordici tessere sonore di “I Love You…”, che suggellano un sentimento e un momento di straordinaria vitalità creativa. Tout ouvert d’esprit que l’on puisse être, il devient exceptionnel qu’un disque parvienne à faire oublier les quelques milliers qui l’ont précédé, qu’il impose sa pureté comme une évidence inaugurale et qu’on sente d’emblée, au frisson qui nous remonte graduellement l’échine, que ce disque là, parmi tous les autres, est appelé à rester, à accompagner le fil de nos vies. Ce qui est d’ailleurs ni plus ni moins que ce que nous proposent Will Long, que l’on suit depuis des années sous son identité de Celer, et sa nouvelle compagne, Rie Mitsutake, qui a signé plus discrètement deux albums des plus recommandables en tant que Miko, avec leur nouveau projet commun, Oh, Yoko : d’être là, tout simplement, de partager avec eux des moments quotidiens, presque triviaux. Mais là où, par la force du deuil, Celer était tout entier habité par le drame et ses conséquences, Oh, Yoko est une grande respiration, un éclat de rire, une ouverture au monde et à sa beauté. Polychrome, I Love you… y brosse une quantité étonnante d’atmosphères variées, avec en filigrane, ce sens de l’épure et de la légèreté qui en fait un album éminemment japonais. A travers de multiples sources sonores, où l’électronique côtoie les instruments acoustiques, les jouets, les field recordings et la voix pâle et distanciée de Rie, I Love you… nous promène du murmure lumineux d’une « Love Song » impeccable, à la répétitivité angoisée et presque angoissante d’un parcours dans les transports en commun nippons (« Keio Line »), de la pop éthérée et électronique d’ »Ice Skating in the Dark » à son pendant acoustique, la chanson de feu de camp « Song with Coyotes », d’une énumération froide et factuelle sur fond d’électronique emballée (« I did this, I did that ») à un « Boïte de Nuit » délicieusement kitsch que n’auraient sans doute pas renié David Lynch tant il ressemble à ses apartés avec Julee Cruise au sein de Twin Peaks. En tous points parfait, ce premier album d’Oh, Yoko gagne même en pertinence au fil des écoutes, à mesure que l’on se coule dans les titres, que l’on s’installe, doucement, dans leur appartement, que l’on commence à rire des mêmes choses qu’eux, à voir les mêmes lumières, à sentir la même brise, au point de ne plus vouloir en repartir. Ces deux là s’aiment, c’est une évidence, souhaitons-leur (et souhaitons-nous) le plus grand bonheur possible. I’m somewhere around 20,000 feet, and I think I’m freezing to death. Please send blankets. We’re on the way to oversee a polar station in the middle of nowhere. It’s 9 hours there, and 9 hours back. On this giant plane, there’s only 6 of us. There’s somebody in this nose compartment with me, for Arctic topography. He’s constantly airsick from staring at the moving ground. As the medical officer, my job is mostly passing out airsick bags, and wearing 3 flight suits so I won’t freeze to death. I’m looking forward to Thanksgiving dinner next week at home, and I’ll be happy to see you. Mother is running in tight circles at home getting ready for the occasion, and Daddy is fasting so he can make the most of the brief period of gluttony. I heard about the menu already, but I’ll let that be a surprise for you. It will be great to have a home-cooked meal again. I think we had frozen chicken for dinner last night. It’s mid-day now, and all I can see ahead of us is endless flat ice. Thankfully the water system in the BOQ at Ladd is now fixed. For the last few weeks, we’ve all had to shower next door, and then run at high speed back to our building through the sub-zero temperatures. I’m seriously jealous of you in Guam. Sitting on the beach, playing gold, swimming in the ocean. Want to trade? Alaska is beautiful, if you want a change. Our flight to Tokyo left at 5pm, following the sunset to the west as we climbed north for 3 hours. The airport was filled with tourists on their way home, with boxes of mangoes and pineapples. It was mango day yesterday. Soon after we got to cruising altitude, the islands disappeared into endless ocean, and everyone seemed to fall asleep. The stewardess offering ice cream passed by unnoticed, and the passengers sank into their straw hats. The lights stay low, but I keep watching out the window, continually sucked into the sunset, and the distant mountains of clouds hanging over the ocean. Even Rie falls asleep, and the outside seems to gently disappear for all the sleeping passengers. The holiday is over, and we’re returning home. When we reach Tokyo, it’s already dark, and the farm fields of Narita are dark blue and foggy in the evening mist, the small yellow lights of the houses sitting still under the half-hidden new moon edging over the horizon. Tomorrow I’ll develop our film, and we’ll start taking pictures again. There are always those leftover shots after a trip, of the just-after-returning from a trip photos. They’re of your home, or people and places you see everyday. But maybe in the end, these are the most genuine from the entire roll. Climbing Formation is packaged in a matte-coated, full color digipak, pressed on a glass-mastered CD in an edition of 500 copies. Musiken på I Love You… bubblar av kreativitet och skaparglädje. Det är melodisk elektronisk pop med folkinslag och soundscaping. En för mig ofrånkomlig koppling är till Kahimi Karies senare verk med Jim O’Rourke och Otomo Yoshihide, men Mitsutakes röst är mer direkt än Kahimis och den känns väldigt ren och frisk till det lo-fi-landskap som breder ut sig. En annan association är isländska Múm och deras stundom flytande stundom studsande elektropop. Soundet är i fokus; man har använt sig av gamla härliga vintage-instrument och -mikrofoner och kombinerat dessa med ny teknik och skapat ett sound som är helt fantastiskt. Det låter fruktansvärt bra och det är en fröjd att bevittna giftermålet mellan det gamla och det nya. Musiken är modern, internationell, men också emotionell och riktigt mysig. I informationen till skivan står det något fint. Det står att releasen är Oh, Yoko:s ”premiere statement of the openness of creativity in captured moments of a simple home and city life.” Det här är musik som postulerar att livet inte alltid behöver vara på så stort allvar. Det är de små sakerna som kan väcka de stora känslorna. Det går att finna inspiration och kreativitet i allt. Alla har vi bra dagar och dåliga dagar, medgångar såväl som motgångar, lycka och sorg. Livet går vidare oavsett. I Love You… är värmande musik för alla sinnestämningar och situationer, och en påminnelse om att uppskatta det vi har. För att sammanfatta I Love You… Det är en rysligt bra skiva som går rakt in i hjärtat.